Thanks for joining us for Man Crush Monday, Lucas Martinez. What do you mean Man Crush Monday? I thought this was a job interview. Surprise! We kind of tricked you; you’re such a busy guy, it was the only way to get you here. Have you ever done any modeling, Lucas? You sort of remind me of Johnny Depp. What? (Frowns at interviewer). Depp is, like, old enough to be my dad. Look, if this isn’t an actual job interview, I need to go. Just a couple of questions, Lucas. Can you tell us a little bit about yourself? Hobbies? That’s a lot of responsibility. How about music? Any favorite bands that help you get through the day? Lately I’ve been listening to a lot of Snow Patrol. Really? That’s surprising. They’re so…emo. Maybe I’m an emo guy. Interesting…So, rumor has it your nickname is Magic Hands. Care to expand on that? I think the nickname is because I’m pretty good at fixing stuff. Cars, broken gadgets, you know…stuff. Do you fix broken hearts, too? Tell me about your tattoo, the one peeking out from under your t-shirt sleeve. Sorry, but it’s not something I talk about with just anyone. It’s personal. Sort of like me asking to read a page from your journal. I guess you really are emo. All right, next question. Anyone special in your life, Lucas? Someone who does know the meaning of your tattoo? Maybe that girl waiting for you in the lobby? (Stands up to leave) You remind me of that reporter in Harry Potter. The one with the lying quill. I’m out of here. Don’t storm off, Lucas; I have more questions. The girl waiting for you, she’s the one whose AWOL dad has been all over the news, isn’t she? I’m not answering anything about Darcy. Why can’t you reporters leave her and her family alone? You’ve already done enough damage. Darcy Covington is completely unprepared when her car is repossessed from her elite private school and her new nickname, Repo Girl, goes viral. Used to hiding in the shadows of her larger-than-life infomercial king dad and drama queen best friend, Darcy’s forced into the spotlight when her dad goes AWOL. Can Darcy make a new life for herself and her family on the run-down side of town, decipher the cryptic clues to find her missing dad, and even fall in love along the way? It probably goes without saying that authors adore readers. Not just because they drive our book sales (though we do enjoy that part as well), but we love them because they inspire us in so many ways. Whether it’s great book discussions on twitter or awe-inspiring, witty book reviews on blogs, readers let authors know that all those countless, caffeine fueled hours of staring at a blinking cursor were not in vain. They challenge us to make our work better with every retweet and facebook like. Readers are truly an inspiration, and it’s about time we appreciate them. That’s right next week is all about you. And while we are busy giving away tons of fantastic prizes both on twitter and our YA Reader Appreciation Blog Hop, we will be introducing you to some of our favorite characters and novels. But let’s get to the good stuff first…the prizes. But the fun won’t just be going on in the twitter universe. Each day of the blog hop, you can enter to win a HUGE, HUGE, HUGE prize pack of awesomeness. How? It’s pretty easy; follow the hop and enter the raffle. Now…on to the hop. Each day the authors below will be talking all things YA. And having a little fun doing it too. Monday (9/22) is Man Crush Monday where you can meet the leading males of some of YA’s hottest new novels. Tuesday (9/23) is Transformation Tuesday where you will find out how your favorite novels went from simply ideas to published works. Wednesday (9/24) is Woman Crush Wednesday where you will meet the leading ladies of some of YA’s hottest new novels. Thursday (9/25) is Transformation Thursday where you will find out more about the lives of some of your favorite YA authors. Friday (9/26) is First Look Friday where you will qet a sneak peek and exclusive content from our YA authors. We hope you are just as excited as we are to celebrate some YA Readers! Help spread the word and check back on 9/22 for the start of the blog hop and tons of chances to win some great loot! But WAIT…you can start entering the giveaway today by following our YA authors and helping to spread the word. Click on the raffle link below to find out more! 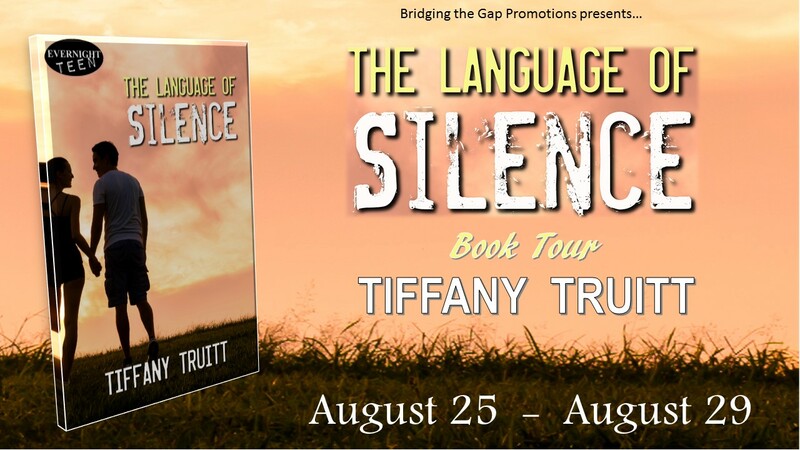 Today I am stoked to introduce you to Brett Jensen, leading lady of my latest novel (a Contemporary YA / Mystery), The Language of Silence. I want to thank Shannon Alexander for tagging me to jump on board. 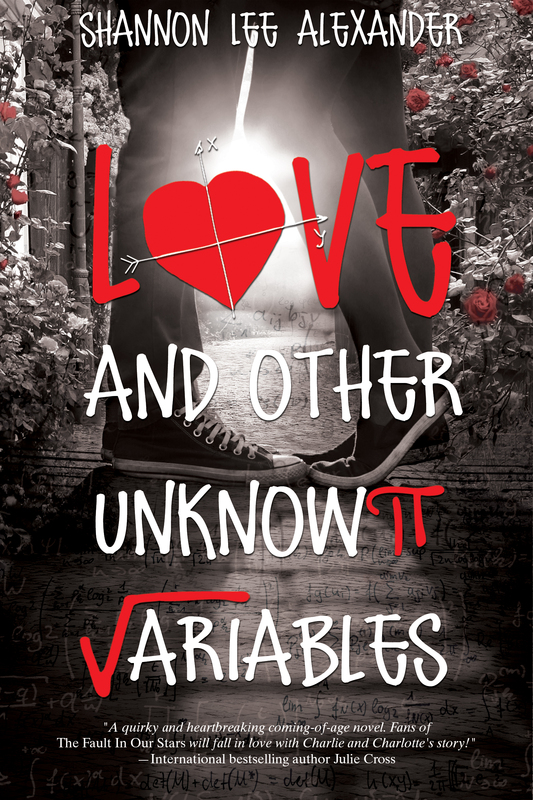 Her novel, Love and Other Unknown Variables (Entangled Teen October 2014) is creating quite the buzz! Let’s learn a little bit more about her before we get started…. 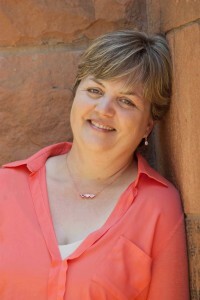 Shannon Lee Alexander is a wife and mother to two kids and one yellow terrier named Harriet Potter. She is passionate about coffee, books, and cancer research. Math makes her break out in a sweat. Love and Other Unknown Variables is her debut novel. It comes out October 7, 2014 from Entangled Publishing. She currently lives in Indianapolis with her family. Brett Mallory Jensen, and she’s purely a work of fiction. Or who knows, readers and friends, maybe, just maybe, she’s a bit like you, a collection of characteristics that make each of you so darn interesting. Just a fancy way of saying, she’s a female character that I really enjoyed writing. Eccentric, witty, and damn smart; she’s the girl who’s just on the edge of becoming an exceptional woman. Beautifully flawed and naive, but within her is a strength that she can’t even begin to suspect exists….and I think that’s true for a lot of us. The story is a contemporary romance / mystery set in the fictional town of Wendall, Georgia. The setting is extremely important in this story. A horrifying hodgepodge of Gilmore Girls’ Stars Hallow and Vampire Diaries’ Mystic Falls, Wendall is a town built on age-old seemingly hokey traditions with a dark tendency to keep secrets at all costs. What should we know about Brett? She’s a go-getter. In fact, she’s pretty much in every after school activity that she could sign up for (but that’s mostly because she is trying to run from her feelings for her brother’s best friend, the brooding, sarcastic Ed). She might, just might, be a klepto. And despite her innocent and virginal status, she’s not afraid of who she is or what she wants. Unlike so many other YA stories where the girl sits in the corner waiting for some hot-shot boy to ask her out, Brett chooses to be single because she knows what she wants, and she won’t waste her time on anything else. What is screwing up Brett’s life (main conflict in writerly speak)? 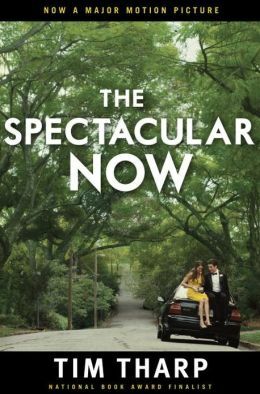 At the start of the novel, Brett is grieving for her brother, Tristan, who died in what has been ruled a drunk-driving accident. But she knows her brother wasn’t drunk the night of his death, and she begins to suspect he was murdered. If that wasn’t enough, she is now left alone with Ed, the one boy who she knows would make her happier than any other, but also the same boy who she is sure will break her heart. The Language of Silence. It’s about all the things we say to avoid speaking the truth. 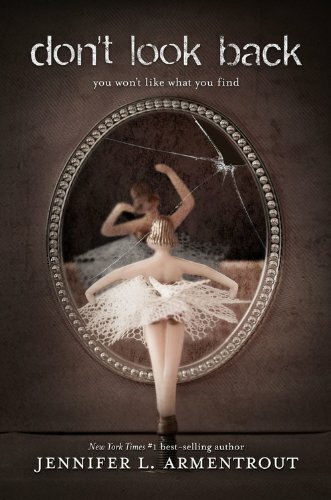 It released on August 22, and you can read the first five chapters for FREE by clicking here. From Book to Screen…Sizzle or Scream?—-Vampire Academy. Today, I am here to write about the movie adaptation of Richelle Mead’s, Vampire Academy….what I loved….what I hated…and most importantly did the film sizzle or make me want to scream? I LOVE movie trailers. There used to be a show back in the day on E! called Coming Attractions. This was thirty minutes of nothing but movie trailers. I LOVED it so much that sometimes I would pop in a VHS (those things that came before DVD’s..ask your parents about them), and I would tape the program just so I could watch it over and over again. Needless to say, I am very critical of the way trailers are constructed. Trailers can make or break a movie at the box office. Consider the movie, The Village. Packaged as a creature feature, people were greatly disappointed to find out that instead of a tale of blood, guts, and bumps in the night, they were watching a psychological tale about the power of paranoia and society building (Let it be known, I think The Village is one of the most highly underrated movies of all time). The trailer unrealistically packaged the movie as something it was not and damned it in the process. I think the same thing happened with Vampire Academy. As you can see, the movie is packaged as a watered down, vapid Gossip Girl lacking substance and wit. Needless to say, as a fan of the series, I was highly disappointed and wasn’t going to waste any part of my lowly teacher salary on seeing the film in theaters. Thank goodness for Red Box. Jeesh. Almost everything. The beauty of a crap trailer is that I went in with low expectations, and I came out wonderfully surprised. The highlight of the film had to be its star. She was wonderful, throwing out quips and snide comments with the ease of a Sarah Michelle Gellar in Buffy the Vampire Slayer—a skill that not all actresses could pull off. Another point of praise comes with the film’s pacing. Sometimes, and don’t kill me book fans, the narrative became bogged down with back story and lore, and the film, mostly due to the ease of the medium itself, provided audiences with the needed information without weighing the story down. I also, kinda, just liked the way it looked. The fight scenes rocked and the editing was masterful. For a low-budget film it never came across as cheap. Again, I am expecting riots, but I didn’t dig the actor who played Dimitri. If anything, I was way more into and interested by the acting choices made by the actor who played Christian. It’s weird until the very last scene, I didn’t feel any connection between Dimitri and Rose…but then that scene totally blew me away. I kept thinking…where the hell was all that chemistry before? Verdict – Sizzle or Scream? Sizzle. Overall, I thought this was a pretty faithful and fun adaptation of a story I really dug. I recommend it to fans of the series. I only wish it made more money because they set up a pretty awesome cliff hanger, and I would definitely pay some of my lowly teacher salary to see more.